Hello, my name is Michael Jones. In Zürich, many people know me as “The Cheeseman”. 10 years ago, I co-founded The British Cheese Centre and three years ago The International Beer Bar. Both businesses operate in Zuriwest. I recently formed a new company Kaesenova GmbH and am taking sole possession of The British Cheese Centre. I am looking to raise funds to partly renovate and refresh the retail outlet, which has prime position in the Markthalle im Viadukt on Limmatstrasse. I plan on enlarging the lunch counter/evening bar and expanding my bakery counter to offer more British style fresh baked goods. Since I started selling British cheese to the Swiss, I have concentrated on high-quality exclusive products from small artisan producers. As well as cheese I also sell other British favourites such as scones and clotted cream, chutneys and preserves, filled bagels, as well as English sparkling wine, Port wine and of course British beers and ciders. I've learnt that customers in Switzerland are willing and happy to pay a premium for unique, quality and hand selected products. Did you know that Britain offers the largest variety of cheese styles in the world? The vast range, high quality and the the fact that British cheese is so different from Swiss cheese are my main selling points. 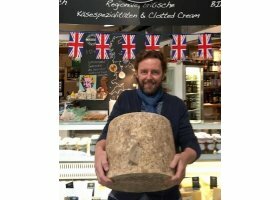 In the new year, I also plan on revamping my online web shop (www.britishcheese.ch) to increase sales to our massive fan base all over Switzerland. With the retail display improvements I have planned, as well as the increased customer seating at the lunch counter and online shop improvements, I have forecast a sales increase of 40,000 in 2018 and a further 20,000 in 2019 - a total of approximately 15% above current sales levels of just under 400,000.00 CHF. I also see new growth in sales for catering at outside venues and events. My start-up rating is because I have formed a new company to take over the retail side of a leading, reputable and profitable brand in the Swiss cheese scene. 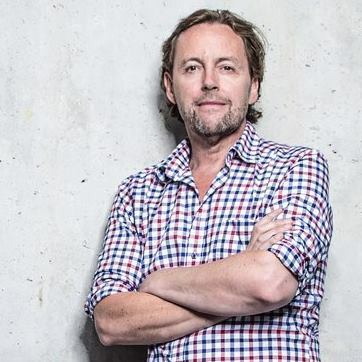 I have personally invested 20,000 CHF in the new company and plan to invest a further 10,000 in the new year. To learn more about me, visit the Blog and Press pages on my personal site www.thecheeseman.ch. If you require more detailed information on sales figures and costs etc., please do get in touch. I am offering 7% interest on the loan over three years. As an additional bonus, I am also offering a 400gr “Tasting Pack” of three different kinds of cheese every month for each 5000.00 lent (a value of some 300.00 CHF per year - this amount can also be spent at my lunch counter/beer bar in the Viadukt or on other products at the shop).